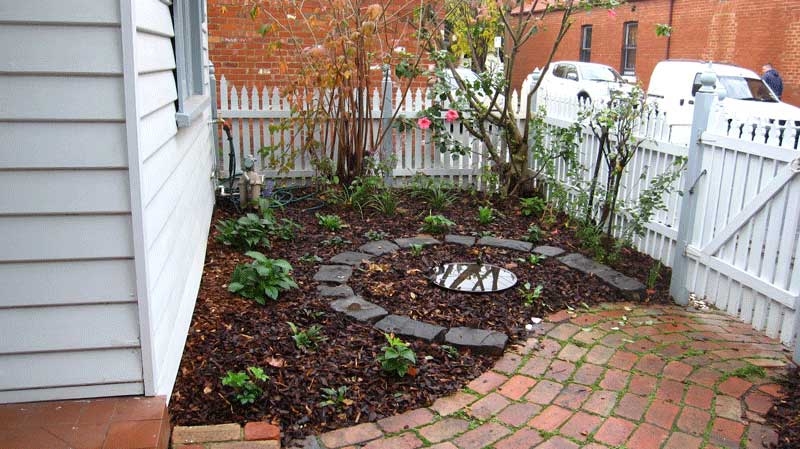 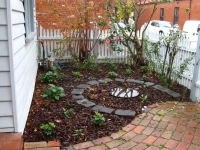 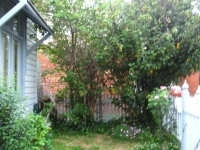 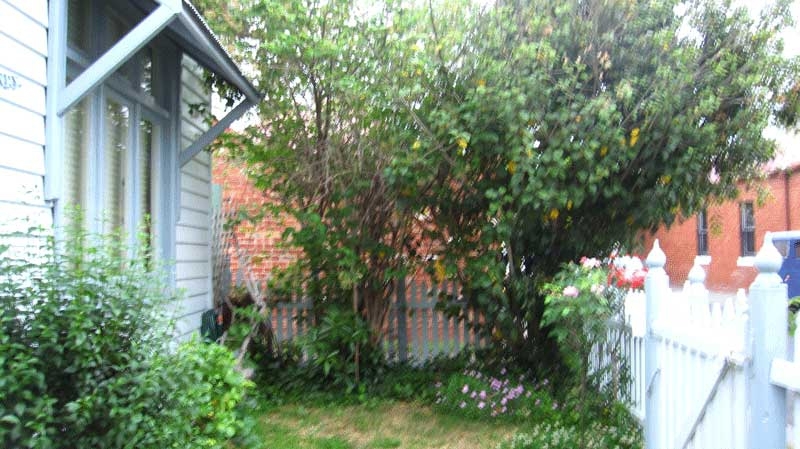 This small inner suburban Richmond residence had a tight little back yard that needed attention. 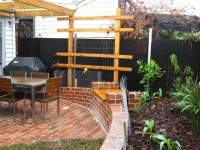 We restored the old red brick paving and inserted a a piece of lawn. 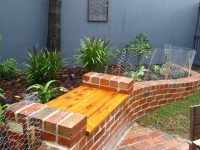 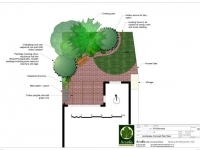 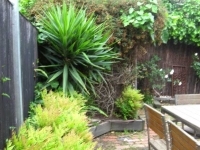 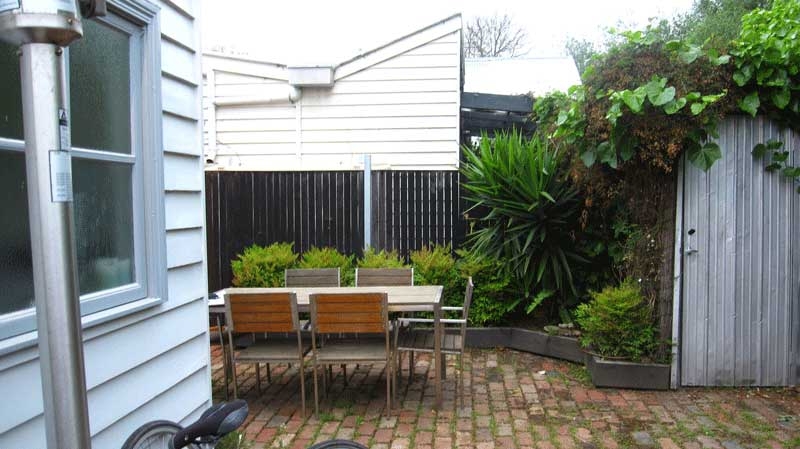 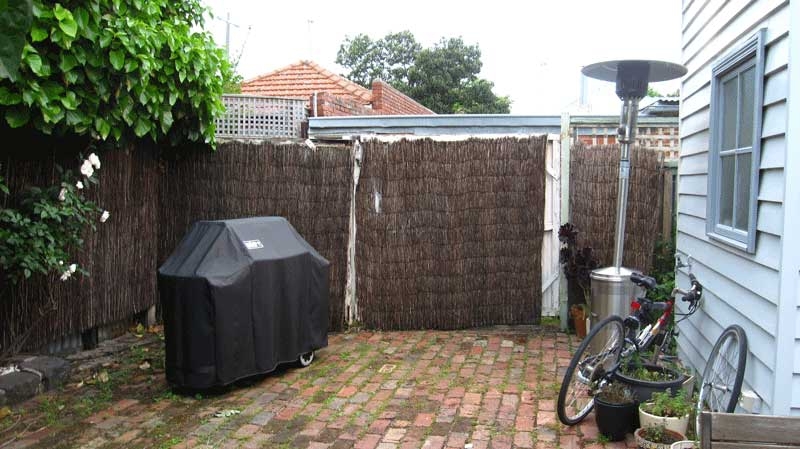 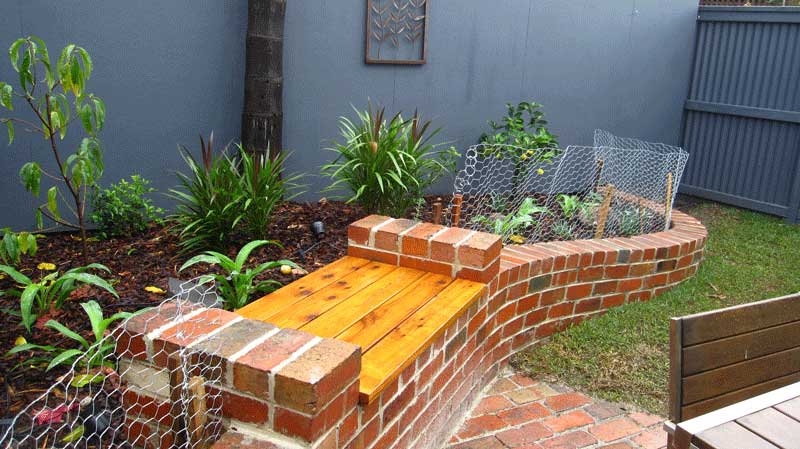 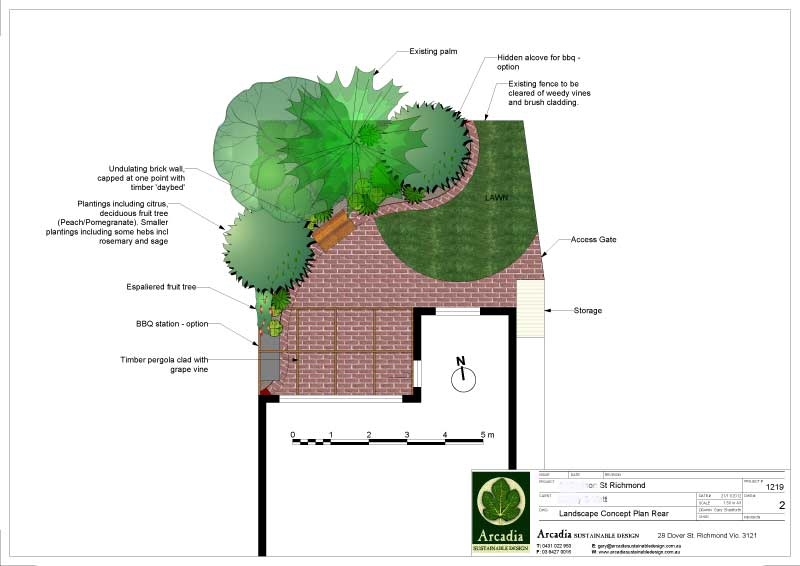 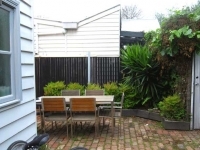 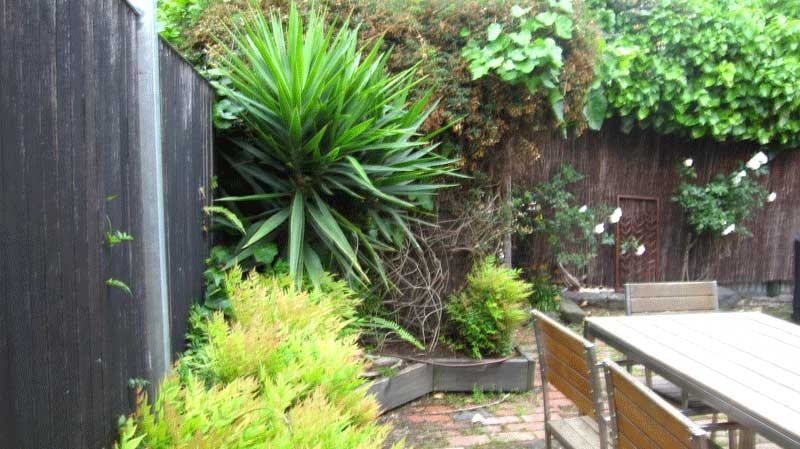 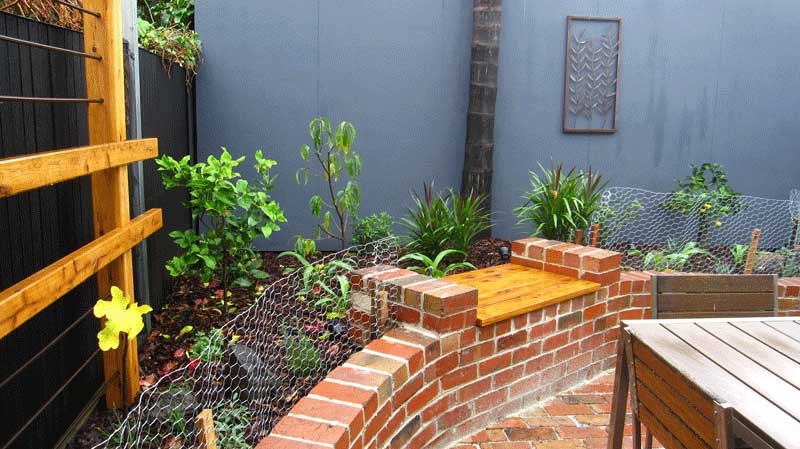 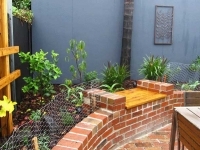 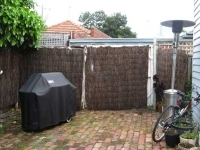 A new gardens was prepared around an existing palm behind a raised brick bed that included a timber seat with included storage. 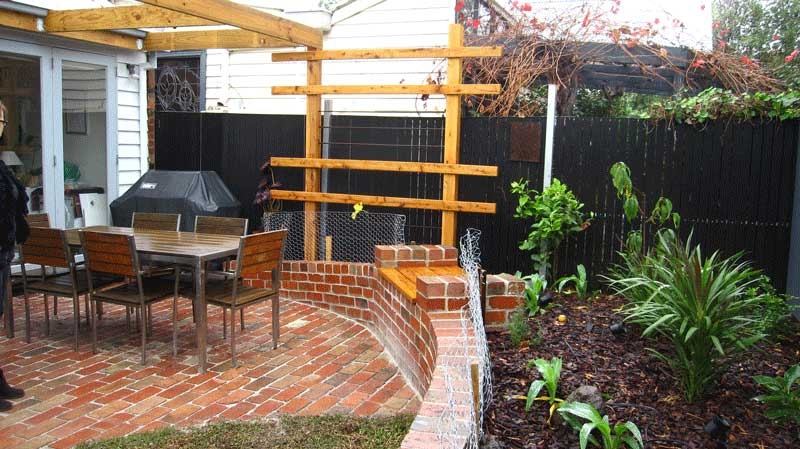 The transformation makes best use of space to create an intimate and private oasis for entertainment and relaxation.